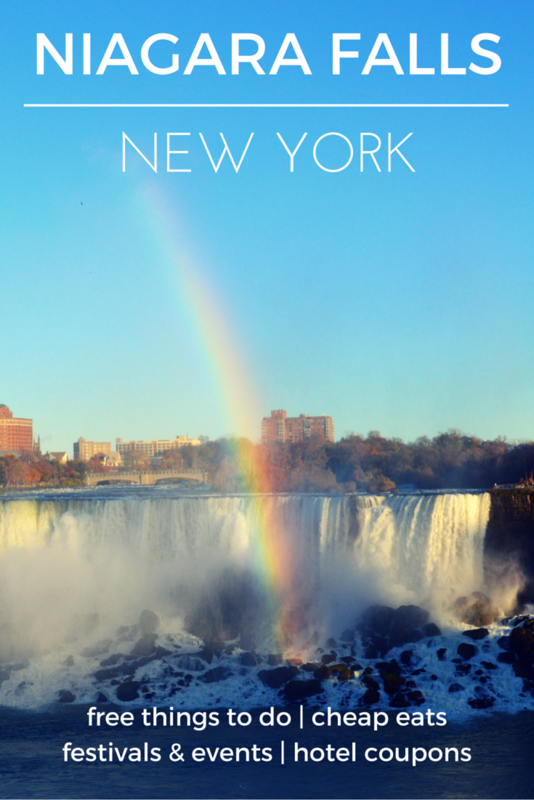 The city of Niagara Falls, NY offers so many things to see and do in addition to the renowned Niagara Falls. The most popular attraction in the area is Niagara Falls, America’s oldest state park, which was established in 1885. Visitors from around the globe head to both U.S. and Canada to view this marvel of nature. For a spectacular view of the falls, consider taking a Maid of the Mist boat tour, or explore the Cave of the Winds in the Niagara Gorge. Travelers to the area should also explore areas like Whirlpool State Park, which showcase the nearby rapids and whirlpools of the great Niagara River. If you’re planning to visit Niagara Falls, don’t miss our list of the best free things to do in Niagara Falls, including parks, museums, landmarks and more. To complete your visit, review our selection of best cheap restaurants in Niagara Falls for good food and a great price. Visit this serene park near Niagara Falls to enjoy activities like biking, hiking and fishing, plus cross country skiing in the winter. Buckhorn Island State Park is free to visit. This public park on the Dufferin Islands, located on the Canadian side of Niagara Falls, offers an ideal spot for picnicking, walking, and leisure activities. Tip: try arriving in the autumn to see the fall leaves, or in the winter to view the Christmas lights display. Visit the Niagara Science Museum to learn about the science behind inventions, view physics demonstrations and much more. Year-round admission is free, although winter admission is by-appointment only. Walk to seven paths of Niagara Glen Nature Reserve to enjoy a look at the natural landscape of the Niagara riverfront. See landmarks like Balanced Rock, Devil’s Arch, a natural spring and more. The perfect spot to view rapids, go hiking or enjoy a picnic, Devil’s Hole State Park is located about 15 minutes north of Niagara Falls. Take the stone stairway to the base of the gorge to get an even better view of the river. Referred to by some as the “birthplace of Niagara Falls”, Queenston Heights National Historic Site offers the beauty of nature along with modern amenities like a playground, tennis courts, pavilions and even an upscale restaurant! The Niagara Parks Floral Clock along Niagara Parkway is a must-see for visitors to Niagara. This living landmark, created with more than 15,000 plants and flowers, it the perfect photo opportunity (aside from the falls, of course). Featuring works of art and collections from the Iroquois and Tuscarora tribes, the Native American Museum of Art near Niagara Falls is an ideal attraction for art, history and education. The first battle of the War of 1812 occurred on the land that is now one of the most beautiful battlefield parks to visit. Right along the river, this park is ideal for fishing, boating, walking, picnicking and more. Most Magnificent Waterfalls in the U.S.